Alec Wilder's music is a unique blend of American musical traditions – among them jazz and the American popular song – and basic "classical" European forms and techniques. As such it fiercely resists all labeling. Although it often pained Alec that his music was not more widely accepted by either jazz or classical performers, undeterred he wrote a great deal of music of remarkable originality in many forms: sonatas, suites, concertos, operas, ballets, art songs, woodwind quintets, brass quintets, jazz suites – and hundreds of popular songs. Many times his music wasn't jazz enough for the "jazzers," or "highbrow," "classical" or "avant-garde" enough for the classical establishment. In essence, Wilder's music was so unique in its originality that it didn't fit in any of the preordained musical slots and stylistic pigeonholes. His music was never out of vogue because, in effect, it was never in vogue, its non-stereotypical specialness virtually precluding any widespread acceptance. In his book, "Alec Wilder and His Friends," Whitney Balliett dubbed Wilder "The President of the Derriere Garde," and to many classical critics he was a "conservative craftsman," "lacking in innovation," and not to be taken very seriously. Irving Kolodin, a champion of Wilder's music, commended his native urban style, lamenting that it never became "politically fashionable," as did the music of many of his contemporaries. Wilder, at his best, represents a fascinating amalgam of three quite different composer-archetypes, here all rolled into one: George Gershwin, Francis Poulenc, Heitor Villa-Lôbos. In its baldest outlines, Wilder's oeuvre is unusually diverse and characteristically American, a synthesis of the brilliant song writer (Gershwin); the not-too-intellectual, traditional and determinedly conservative composer of easily accessible American-style Gebrauchsmusik, making use of popular and jazz elements as a matter of course (Poulenc); and a sometimes uncritical, too-casual writer who writes too much too easily – like Shakespeare's old bromide about loving too well but not wisely (Villa-Lôbos). Alec Wilder was born Alexander Lafayette Chew Wilder, in Rochester, New York on February 16, 1907. He studied briefly at the Eastman School of Music, but as a composer was largely self-taught. As a young man he moved to New York City and made the Algonquin Hotel – that remarkable enclave of American literati and artistic intelligentsia – his permanent home, although he travelled widely and often. Mitch Miller and Frank Sinatra were initially responsible for getting Wilder's music to the public. It was Miller who organized the historic recordings of Wilder's octets beginning in 1939. Combining elements of classical chamber music, popular melodies and a jazz rhythm section, the octets became popular and eventually legendary – through these recordings. Wilder wrote over twenty octets, giving them whimsical titles such as "Neurotic Goldfish," "The Amorous Poltergeist," and "Sea Fugue, Mama." Frank Sinatra, an early fan of Wilder's music and an avid supporter, persuaded Columbia Records to record some of Wilder's solo wind works with string orchestra for an album in 1945, Sinatra conducting. The two men became life-long friends and Sinatra recorded many of Wilder's popular songs. His last song, "A Long Night," was written in response to a 1980 request from Sinatra for a "saloon" song. It is a relative rarity for a composer to enjoy a close musical kinship with classical musicians, jazz musicians and popular singers. Wilder was such a composer, endearing himself to a relatively small but very loyal coterie of performers, and successfully appealing to their diverse styles and conceptions. He wrote art songs for distinguished sopranos Jan DeGaetani and Eileen Farrell, chamber music for the New York Woodwind and New York Brass Quintets, large instrumental works for conductors Erich Leinsdorf, Frederick Fennell, Gunther Schuller, Sarah Caldwell, David Zinman, Donald Hunsberger and Frank Battisti, many of them premiering his works for orchestra or wind ensemble. Concert soloists who recorded or premiered his music include John Barrows, horn; Bernard Garfield, bassoon; Harvey Phillips, tuba; David Soyer, cello; Gary Karr, string bass; Barry Snyder, piano; Samuel Baron, James Pellerite and Virginia Nanzetta, flute; Donald Sinta, saxophone; Robert Levy, trumpet; Gordon Stout, marimba. It was John Barrows who served as Wilder's friend and mentor, not only urging him to compose in the larger forms but also introducing him to many of his musician colleagues. Jazz musicians fascinated Wilder with their gift for creating extemporaneous compositions. Among those for whom he composed major works were Marian McPartland, piano; Stan Getz, Zoot Sims and Gerry Mulligan, saxophone, Doc Severinson and Clark Terry, trumpet. Entire albums of his songs and shorter pieces were recorded by Bob Brookmeyer, trombone; Roland Hanna and Marian McPartland, piano. Individual Wilder songs have been recorded notably by Cab Calloway, Red Norvo, Keith Jarrett, Don Menza, Jimmy Rowles and Kenny Burrell. Wilder's relationship with popular and jazz singers was especially close. Despite his songs' sinuous angular melodies and unorthodox forms, he was admired by Mabel Mercer, Jackie and Roy Kral, Mildred Bailey, Peggy Lee, Tony Bennett, and more recently, Marlene VerPlanck and Barbara Lea. For Mabel Mercer (whom Wilder called the "Guardian of Songs") he wrote many of his finest popular as well as art songs. She responded by making definitive recordings of a number of them. Among his best known songs are "It's So Peaceful in the Country" (written for Mildred Bailey), "I'll Be Around," "While We're Young" and "Blackberry Winter." Sometimes Wilder wrote his own lyrics for his songs, but more often he collaborated with outstanding lyricists such as William Engvick, Johnny Mercer, Arnold Sundgaard and Loonis McGlohon. Wilder's interest in children brought about hundreds of piano pieces, easy study pieces for many different instruments, the well-known "A Child's Introduction to the Orchestra" and the song book "Lullabies and Night Songs," illustrated by Maurice Sendak. His cantata "Children's Plea for Peace" is a testament to his hopes for a better world for young people. He also wrote many children's songs for television productions and records, such as "The Churkendoose" performed by Ray Bolger and a version of "Pinocchio" starring Mickey Rooney. Additionally, the children of many musician friends were remembered with numerous solo chamber works. In the early 1950's, Wilder became increasingly drawn to writing concert music for soloists, chamber ensembles and orchestras. Up to the end of his life, he produced dozens of compositions for the concert hall, writing in his typically melodious and ingratiating style. His works are fresh, strong and lyrical, and very much "in the American grain." Many pieces include movements that express a kind of melancholy desolation, an un-selfpitying loneliness, in contrast to the more buoyant and witty surrounding fast movements. Alec Wilder wrote music because he said it was the only thing that could content his spirit. He declared, "I didn't do well in terms of financial reward or recognition. But that was never the point." Wilder shunned publicity and was uncomfortable with celebrity. If he never was one to get grants, receive commissions, win prizes, it is because he never sought such favors. A deep distrust of institutions, combined with an extraordinary shyness verging on an inferiority complex, prevented him from circulating and operating in the composer's world in the ways generally expected of composers. 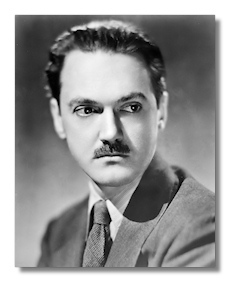 Nonetheless, his awards eventually – late in life – included an honorary doctorate from the Eastman School of Music, the Peabody Award, an unused Guggenheim fellowship just before his death, an Avon Foundation grant, the Deems Taylor ASCAP Award and a National Book Award – all having to do with "American Popular Song – (The Great Innovators 1900-1950)" (co-written with James T. Maher), undoubtedly the definitive work on the subject. He included almost everyone who had written a song of quality, but not one word about himself or any of the hundreds – maybe thousands – of pieces he wrote. No one will ever be sure just how much music Wilder wrote. Sketches of music – sometimes entire pieces – were often written on small scraps of manuscript paper while he rode a train, sat on a park bench or waited in an airport terminal. Scattered about in private collections of Wilder's friends were dozens of compositions which never reached performance or publication. Some may still lie in piano benches and desk drawers wherever Wilder visited, for he wrote almost entirely for friends, and most of his pieces were gifts to them or their children. What those who know him well respected in Alec Wilder was his absolute independence and incorruptible aesthetic integrity as an artist. For years Alec wrote music of taste and quality with that personal melodic touch that was all his own, unaffected by musical fashion or fads, and never accepting any form of financial renumeration. And no one was more devoted to the musician in providing a playable, functional literature for all those instruments and instrumental ensembles which most composers generally ignore. It was almost a mission in Alec's life to assuage the thirst for good music for the so-called underdog instruments, bass, tuba, euphonium, horn, marimba, etc. Alec was truly the musician's friend – an American original. Despite his slightly rumpled-professor look, Alec Wilder had a touch of unpretentious elegance and style, always with coat and tie, reflecting a comparable blend of spontaneous looseness and formal discipline in his music. There is also humor – sly humor, the humor of an intelligent, sensitive mind – in his music. Wilder was generous to a fault, famous for bringing his friends and their wives presents of books. He was also unpredictable, as in his music. Just when one seemed to have guessed where he will take us in the next phrase, he surprises us by taking a completely unlikely turn – which in retrospect almost always seems inevitable and right. Not all of Wilder's compositions are light and happy and easily accessible; some of his music – especially that written in his last years – is dark and anguished, reflecting a deep loneliness. And there were sometimes prolonged periods of discouragement and cultural isolation during which Alec found it impossible to write music at all. Although he protested the label (perhaps sometimes too vigorously), Alec Wilder was a bonafide eccentric. If some of his music sometimes has a lopsided , irregular shape, it is because he intended to throw us off guard in making a musical or emotional point. In his popular songs he often created seven-and-nine bar phrases which, nonetheless, always feel as natural as the more orthodox eight-bar structures of Tin Pan Alley. That he could work well within these more traditional forms is borne out by hundreds of songs and instrumental pieces. Alongside his more complex sinuously winding melodies, Wilder could also create tunes of haunting simplicity. "I'll Be Around" is surely an extraordinary example of the latter, while the ravishing theme of Alec's Serenade (from the "Jazz Suite for Four Horns") is a superior representative of the former, a melody worthy of an Ellington or a Gershwin, or a Shubert, and arguably one of the most beautiful melodies ever composed in our century. Wilder died of lung cancer on Christmas Eve in 1980 in Gainesville, Florida – "just in time to keep from becoming better known," as he might have joked. The successful National Public Radio 56-show series, "American Popular Song," which he hosted with Loonis McGlohon (his co-writer in later years), was bringing about a renaissance of popular song. People were beginning to seek interviews with Wilder, and this attention made him nervous. Had he lived, he probably would not have had enough courage to attend either the 1983 ceremony at which he was inducted into the Songwriters' Hall of Fame or the 1991 dedication of the Alec Wilder Reading Room in the Sibley Music Library at the Eastman School of Music. Once when his guard was down, Wilder wrote the [following] poem, which, incidentally was read by Thomas M. Hampson at Wilder's funeral service. All the attributes live on in the music of Alec Wilder.